Cozy & Bright Cards with Amanda! - Pebbles, Inc. 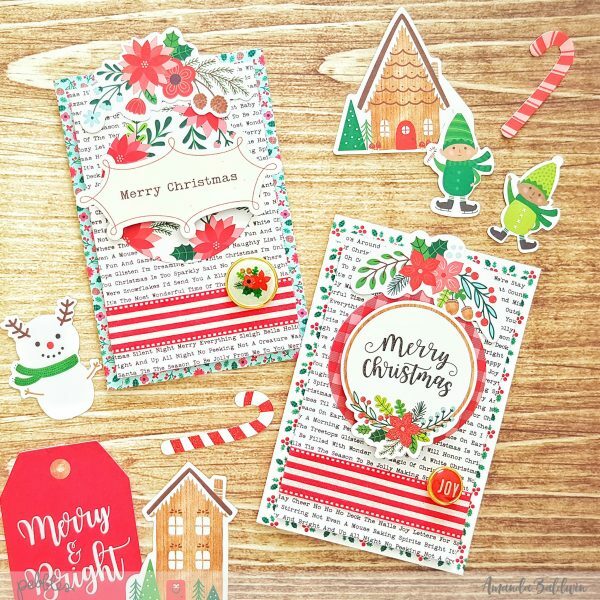 Cozy & Bright Cards with Amanda! 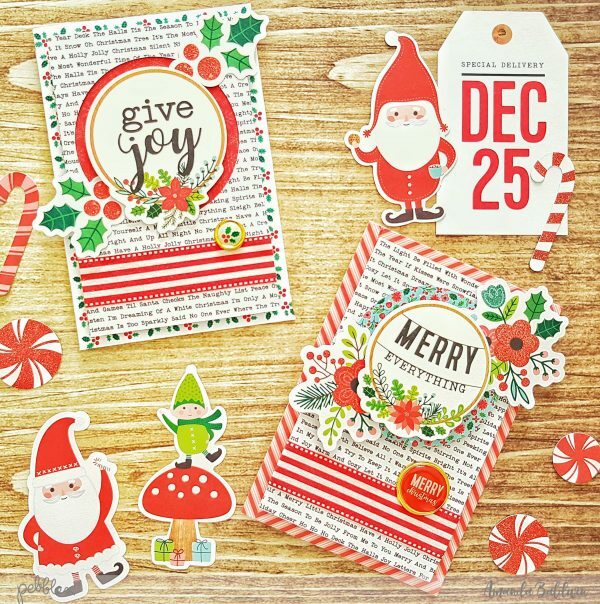 Amanda here, & welcome back for more Christmas inspiration with our gorgeous new Cozy & Bright collection! 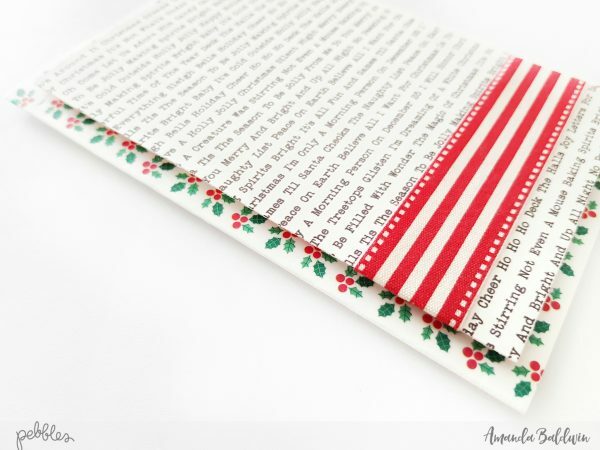 As we head into December, it’s time to start getting all those beautiful Christmas cards created and ready to write! Today I’m sharing a super quick & simple tutorial on how to make a set of beautiful cards in next to no time! Here’s a little look at my completed cards…..
Oh aren’t these the sweetest?!! So super cute! I may have put the Christmas Carols on while I created these pretty cards 😉 It really is my most favorite Holiday! 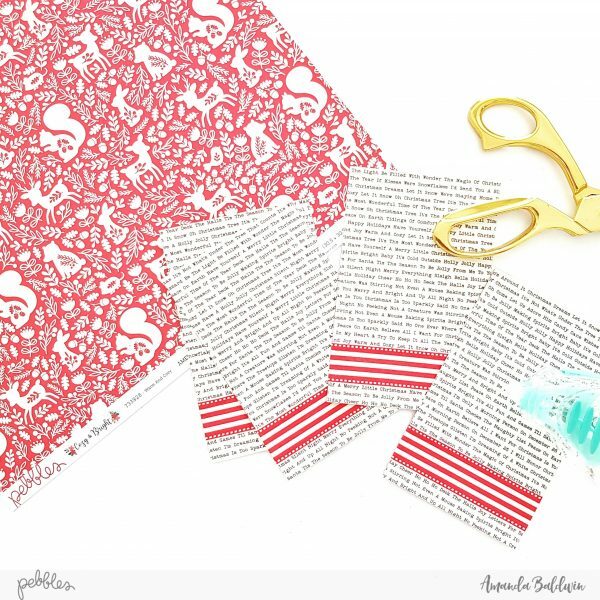 Start with two sheets of white Bazzill cardstock and trim each sheet 6″ x 8″. Score and fold each cut to create a total of 4 card bases (repeat this process for as many cards as you need). 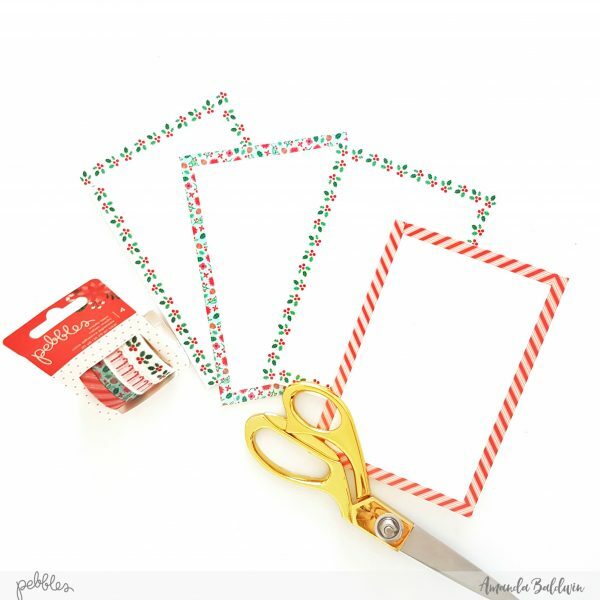 Use the Cozy & Bright Washi Tapes to border the front of each card – as shown above. Using the reverse side of pattern paper Warm And Cozy, trim 4 rectangles each measuring 3 1/2″ x 5 1/2″. Add a 1 inch thick ribbon 1/2″ from the base of each rectangle. Foam mount the Warm And Cozy rectangles and adhere to card fronts. 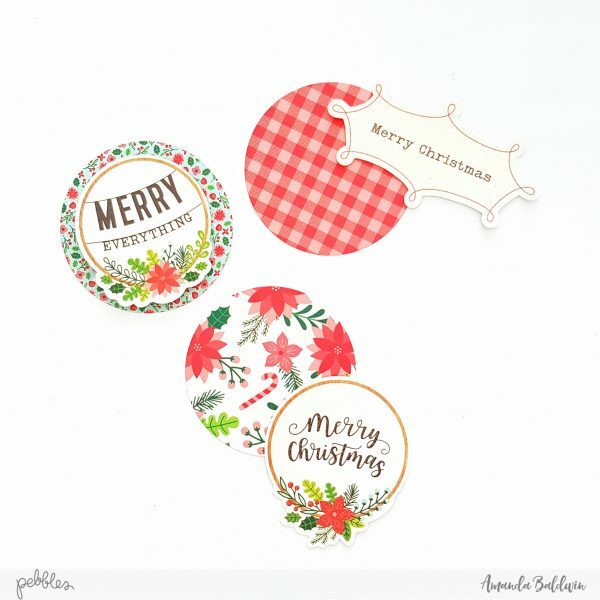 Use the Cozy & Bright 6 x 6 Paper Pad & punch out 4 large circles . Select an ephemera sentiment, and foam mount onto the large cirlces. 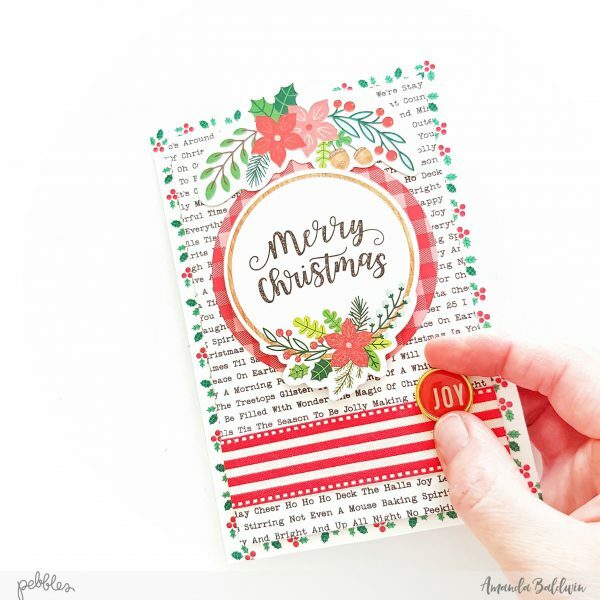 Glue the circle sentiments to the card fronts. Embellish with more Cardstock Shapes Ephemera, and an Embellished Brad. Note: I prefer to remove the pins from the back of my brads and adhere them with foam dots, creating a flair button appearance. So simple, and yet, oh so pretty!!! Here’s a better look at my Cozy & Bright card set…. Absolutely adorable and oh so easy to make!!! 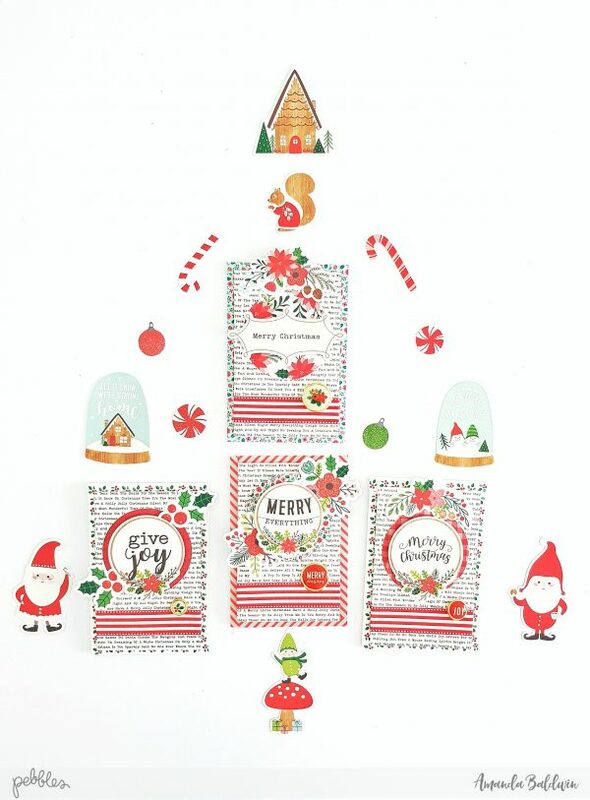 You could easily make a dozen of these sweet cards at your next craft afternoon and be prepared for the Season of Giving! I hope I have inspired you! Happy Holidays & thanks so much for visiting!